“It’s about time that a band is bringing back the rock ‘n roll attitude with a wink and a nudge. And you’re damn right they are. Moving up to the main stage at major festivals Rock Fest and Rock USA in 2017 was no easy feat for the independent rock trio. In addition to previous appearances at Chicago Open Air, Northern Invasion, Warped Tour, South by So What? !, and more, City of the Weak are proving themselves to be the new crowd favorite alongside some of rock’s biggest acts. As if firecracker ‘Stef w/ an F’ wasn’t enough, with fierce guitarist Brent Lindblad & dynamic Cody on bass they really are determined to be the underdog that won’t be held down. Since their inception in 2012, the band has toured the United States relentlessly and are on track to play their 400th show in 2018. After being featured on EMG TV, spending 13 weeks on the Loudwire countdown, and receiving over 1.3 million views on their first seven music videos, City of the Weak premiered their new video for “Not This Time” June 18th, 2018. 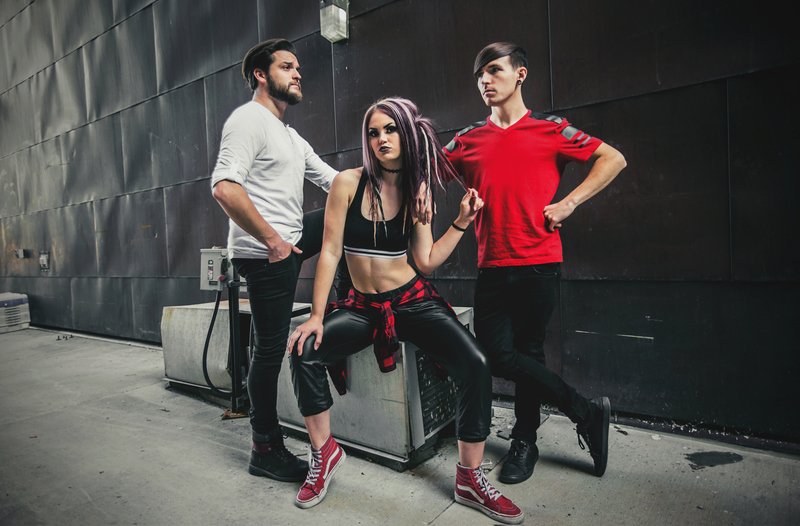 City of the Weak captures a modern rock ‘n roll sound that is so perfectly defined, combining catchy pop melodies with aggressive guitar riffs and moving bass lines to create a genre of their own. They are best known for their intensity and passion on stage, as well as their fearless personalities off the stage. Their first full-length album, produced by Craig Owens, will be available June 22nd, 2018, accompanied by their performance at Rocklahoma.